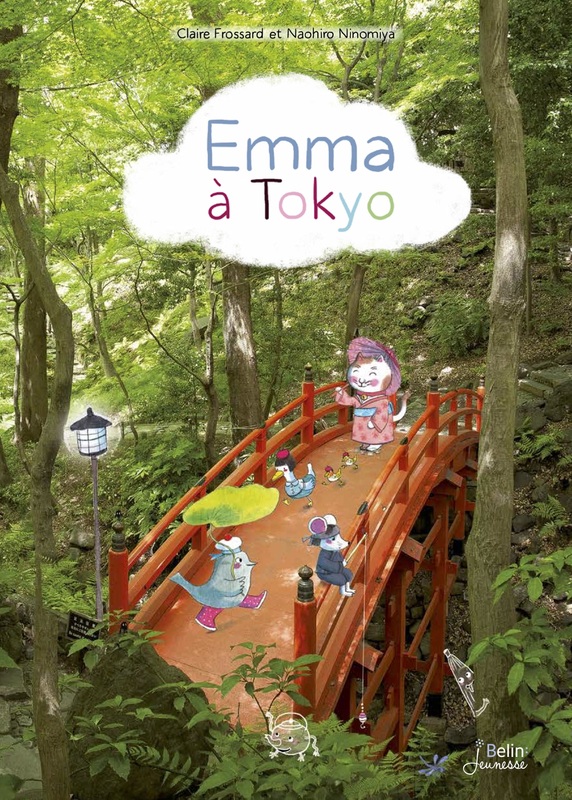 It’s off to Tokyo for Emma, the globe-trotting sparrow, on her fourth trip abroad! 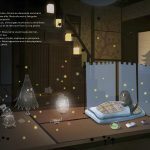 Emma decides to return home to New York. 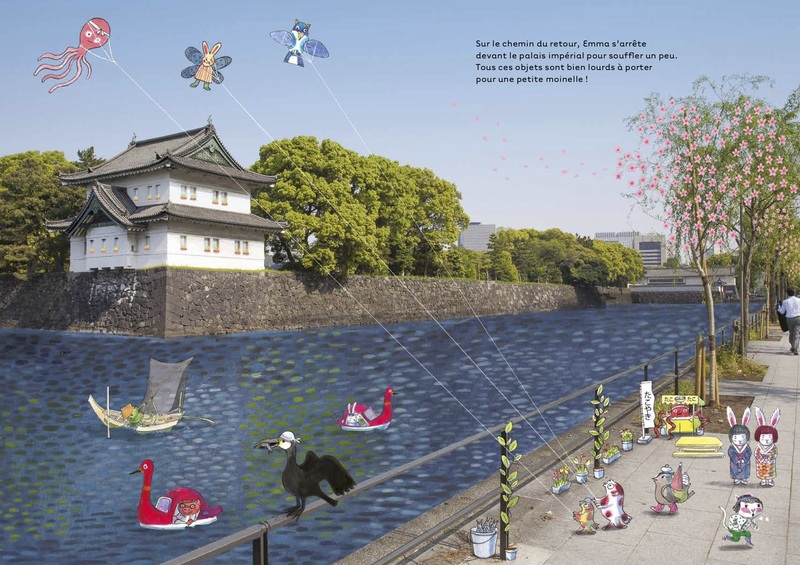 But a hurricane blows her hot-air balloon off course – all the way to Japan! 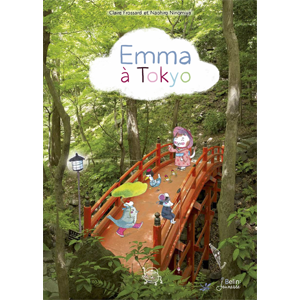 “Konnichiwa,” says a friendly cat, “Welcome to Tokyo!” Emma finds it all very strange. 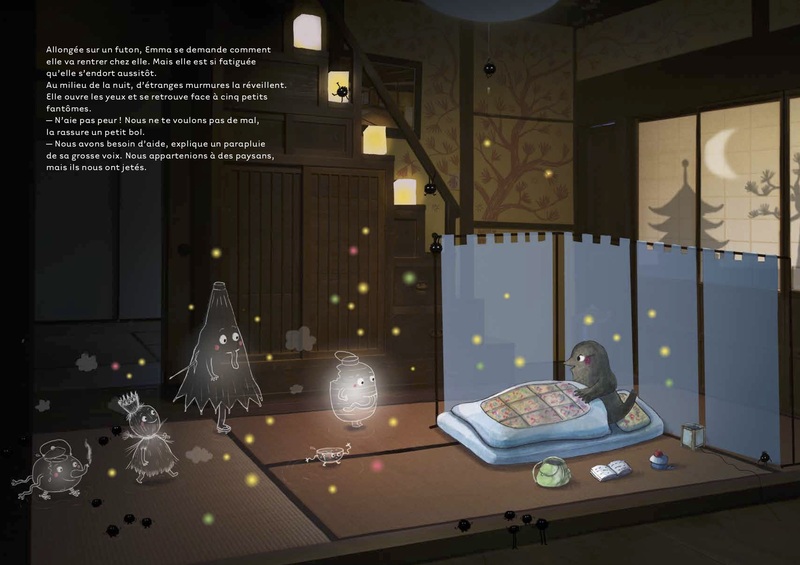 But with the help of her new friend, and the unexpected help of some little yokaï ghosts, she embarks on a discovery of the Japanese capital and then finds her way home. 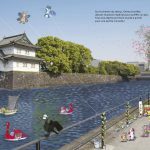 With Emma, we fly over Tokyo’s brightly-lit skyscrapers, we take a bath in an onsen, we taste mochi and we join in the Japanese children’s festival!